a wonderful shotgun idea with a tasty stout gone horribly wrong. i didn't preview the background footage because it was called "Male Leopard Vs Lions" and thought it would be fitting for the beverage and my outfit. unfortunately there is only a quick shot of a lion during the part i shotgunned on. 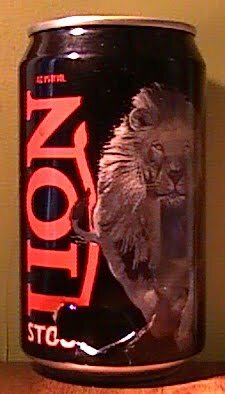 and of course a graphic popped up with that whole "eye of the leopard" thing and it made me feel really stupid, i should have been shotgunning a leopard pale ale or something. 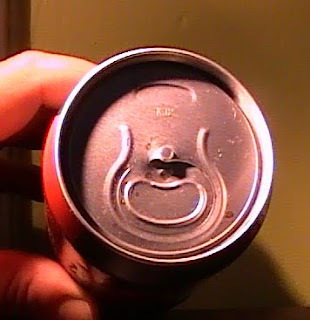 as if that wasn't enough, the tab snapped off the top before the can was completely open. all in all i still had fun so whatever. get yourself some lion stout because it is nice and strong at 8% and has a dark smokey taste to die for. i was hoping for more fighting and destruction...i'm so impatient i could have made this way more epic than it was.